Voting day is tomorrow! 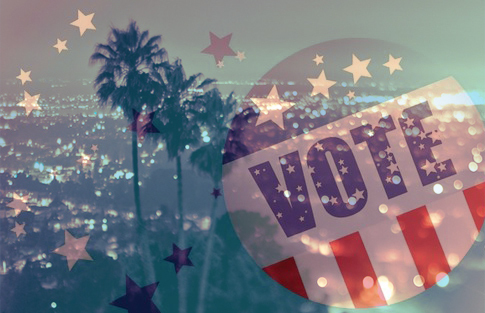 It’s the primary nominating election, in which we’ll choose who will be the next candidates for Mayor (I’ve never known LA without Villaraigosa, so that’ll be weird), decide on a few new city council candidates, and sift through some ballot measures. This city is yours if you want it! Who or what are you voting for? And if you’re not voting, how come?